What a blessing! 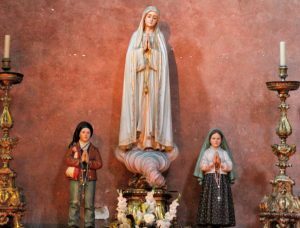 The two small children Francisco and Jacinta Marto who witnessed the apparitions of Our Lady in Fatima will be canonized this month — two days before our sold out group arrives. We are very happy the Pope arrives before us since to be there simultaneously makes it very difficult due to crowds and security. We will be the first ones to visit after the canonization which is very special for our sold out group. We will be taking Ignatius Press with all their staff along with Fr. Andrew Apostoli and Fr. Mark Mary of EWTN. This should be a blessed and fruitful pilgrimage. We begin in Lisbon Portugal and work our way north to Fatima then a number of amazing sites until we ready Santiago de Compostela in Spain. We next celebrate Mass in Loyola in honor of Ignatius Press, whose patron is St. Ignatius of Loyola. From there we go north east into France for three days at Lourdes. To see where we will be going you can see our interactive map here along with our detailed itinerary. Stayed tuned here for daily videos and updates while we are touring Portugal, Spain and France. To watch and listen to Fr. 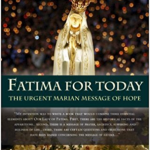 Andrew Apostoli CFR discussing his book “Fatima for Today” on EWTN, click below.